Ruth Hazzard, Vegetable Specialist with UMass Extension and coordinator of this grant, credits her multi-state partnerships with the projects’ success in reaching a wide range of growers interested in increasing their winter vegetable sales and working on their technical needs related to having product to sell, while also building winter markets and the customer base needed to sustain them. The partnership included vegetable Extension specialists from Universities of Massachusetts and New Hampshire (UNH), marketing specialists at two local food organizations, Community Involved in Sustaining Agriculture (CISA) in Western Mass. 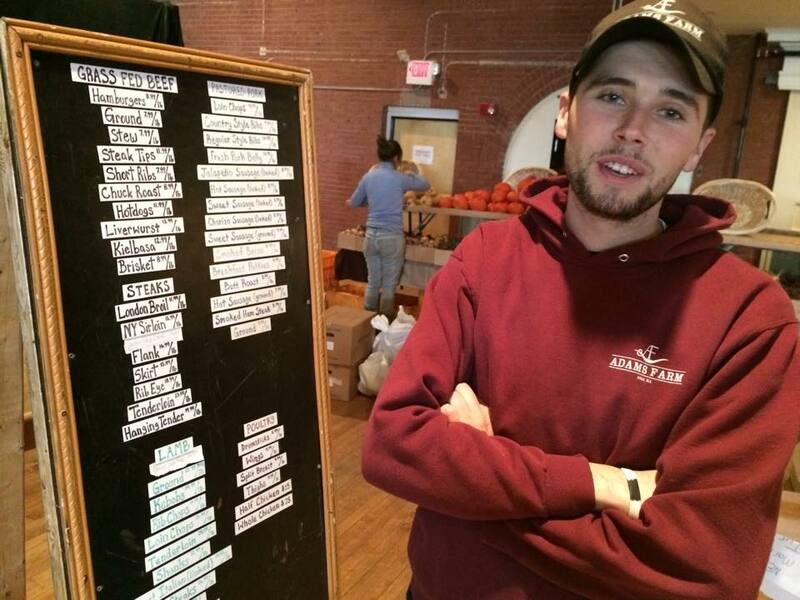 and Seacoast Eat Local (SEL) in Eastern New Hampshire, and nine grower-advisors from four New England states. 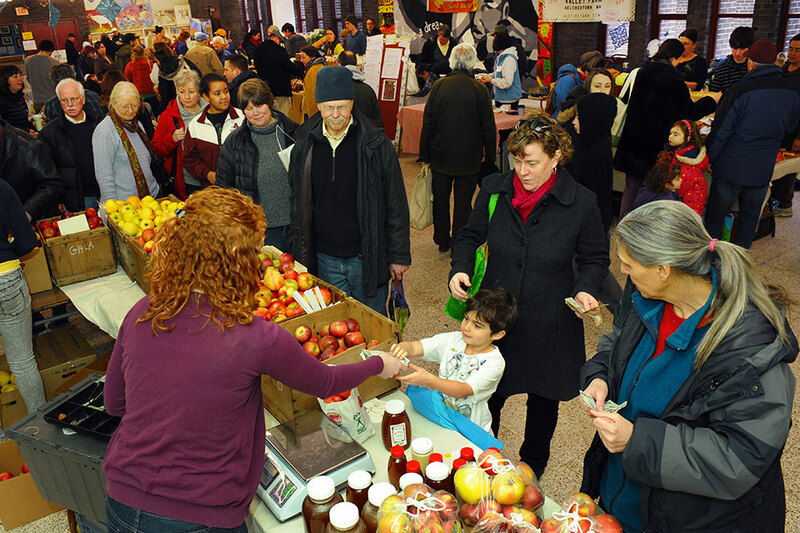 During the four years, the project offered 50 educational programs on winter production, storage and marketing that reached over 4,000 people, produced over twenty new fact sheets and a website, conducted 16 field research trials and supported growth in winter farmers markets in Massachusetts and New Hampshire. Growth in winter markets and winter vegetable sales over four years was dramatic; in markets in southern New Hampshire there were 50% more vegetable vendors, 17-35% more kinds of vegetables each month of the winter, and more frequent markets with steady growth in the number of customers. 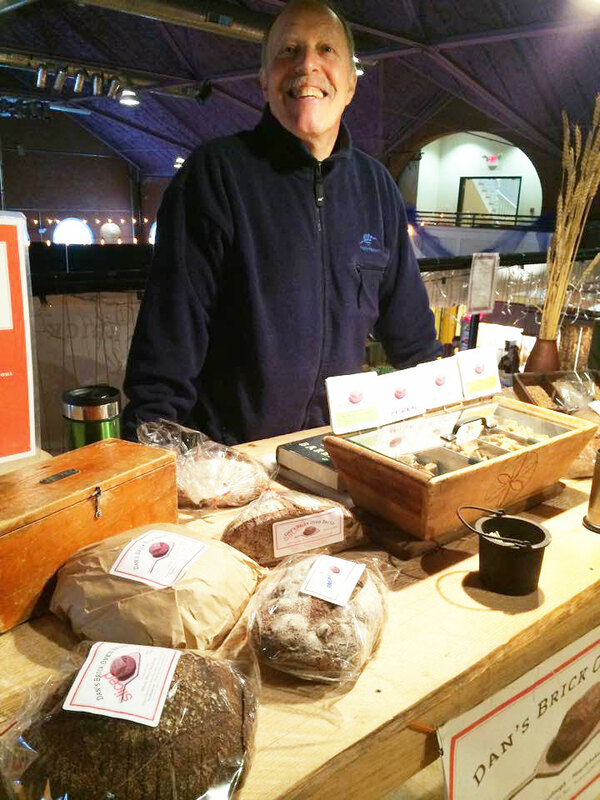 Instead of single ‘winter fare’ events, winter farmers markets in the Connecticut Valley of western Mass. 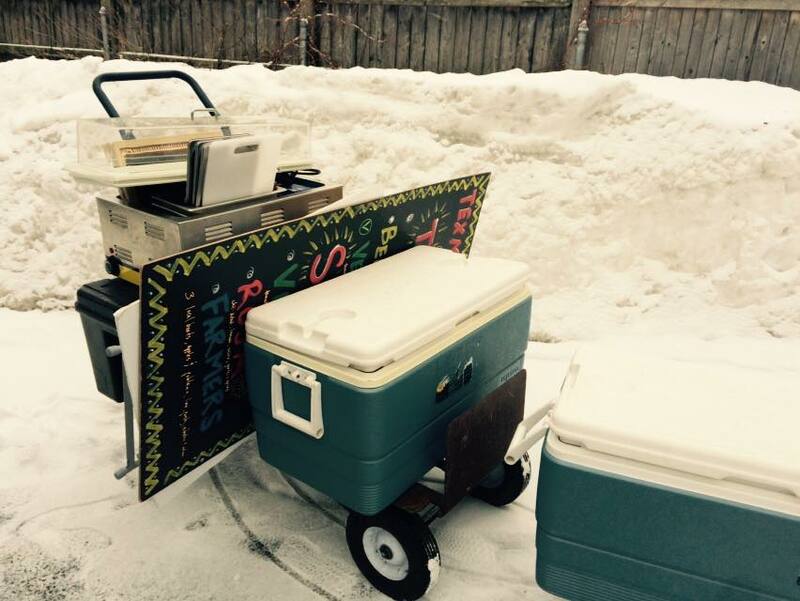 are now weekly or biweekly events in Amherst, Greenfield, Northampton and Springfield. The grant allowed Extension specialists to zero in on production and storage techniques that are key to providing quality vegetables all winter. “We worked closely with Becky Sideman, vegetable specialist at UNH, and with our grower advisors to design our research trials,” noted Hazzard. The project studied low tunnels for overwintering and spring production; crop timing and evaluations; carrot storage and quality; and root cellar construction and humidity, among other issues. Data collected will be useful and can be widely applied going forward. For example, they found that low tunnels constructed of ten-foot hoops covered with heavy (1.25oz/yd2) row cover and 6 ml greenhouse plastic moderated the coldest winter temperatures at least 20 degrees F at locations from central New Hampshire to southern Rhode Island, and that spinach, onion, kale and carrots could be successful low tunnel crops for spring sales. Low tunnels are now being used by 25% of growers surveyed, while high tunnels, either unheated or heated to just above freezing, are being used by over 80% of growers surveyed. 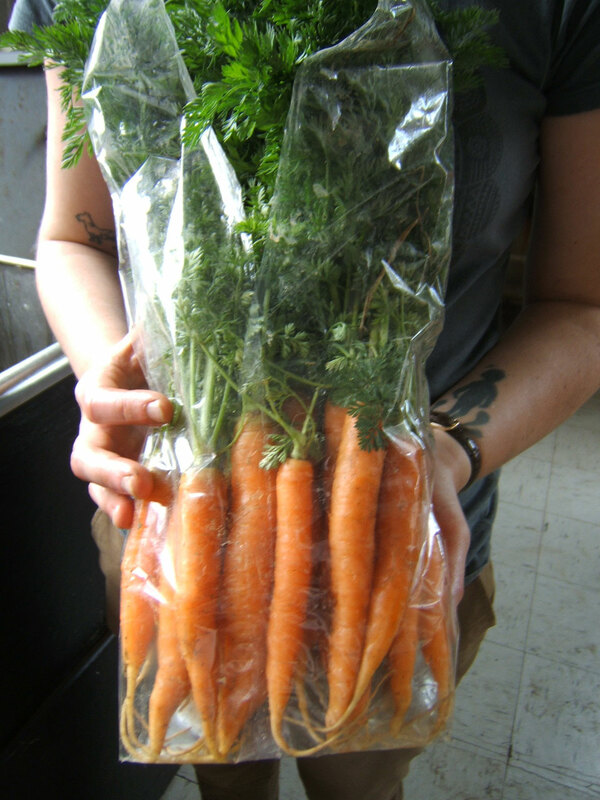 The project used case studies to assess how well different types of storage units could maintain carrot quality in storage from November through February. The researchers found that ambient-air-cooled root cellars and freestanding walk-in coolers worked as well, or nearly as well, as more expensive custom-engineered facilities. They also found that an ambient air system may need supplemental cooling in a warm fall, and this can be achieved through supplemental humidification. At least 60 farms who worked with the project, attended programs or read publications that have changed their postharvest and storage practices for winter vegetables. Many have built more carefully designed storage areas for vegetable needs or made improvements to adapt their existing facilities to new uses. The project measured its success by the amount of increase in winter income experienced by farmers; the increase exceeded the project’s target of $6750 per farm, documenting that 80 growers increased their winter income on average by a range of $11,775 - $23,113 per farm. In surveys conducted in 2014, farmers expressed that their major reasons for increasing winter vegetable production and sales are to increase farm income, maintain contact with customers through the winter, and keep employees year round. Will winter production continue to grow? Among farmers surveyed, over 60% indicated they currently intend to increase winter sales. Further work is needed to balance the continued expansion of production and customers so that markets do not become saturated. Participating farmers actively exchanged information throughout the four-year project. They hosted meetings, and shared experiences, successes and concerns. Creative solutions are becoming established. 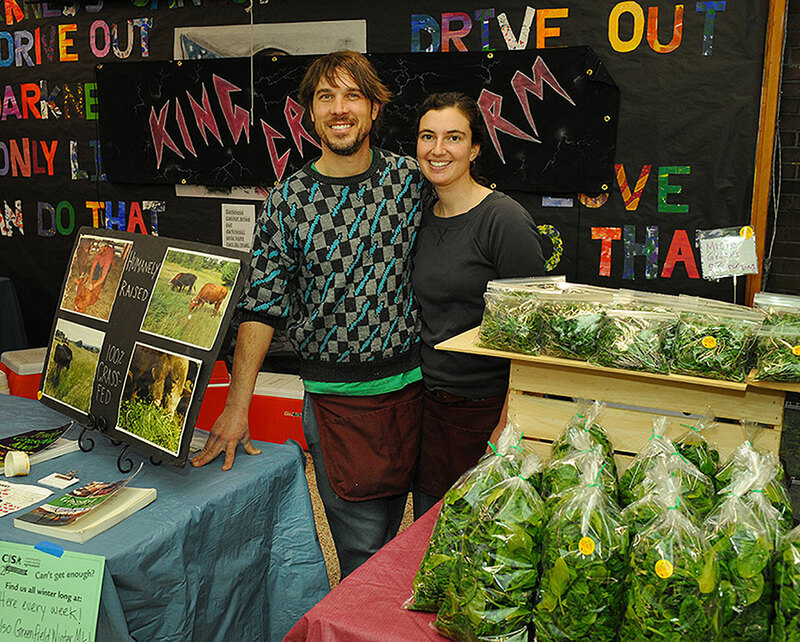 One farmer offers pick-your-own greens in the fall and winter as part of her winter CSA. Farms with limited acreage are contracting with larger farms to grow winter storage crops that help them fill their winter CSA shares. Farms with greenhouses that were idle in winter are growing winter greens on inside benches. All growers were surveyed to assess their future needs and research priorities. Farmers want research and better understanding of 1) planting dates and methods for a range of crops and growing conditions from field to low tunnel to unheated or minimally-heated high tunnels, and 2) energy-efficient and cost-effective storage facilities. Post-harvest handling including fall and winter washing also remains a major challenge. 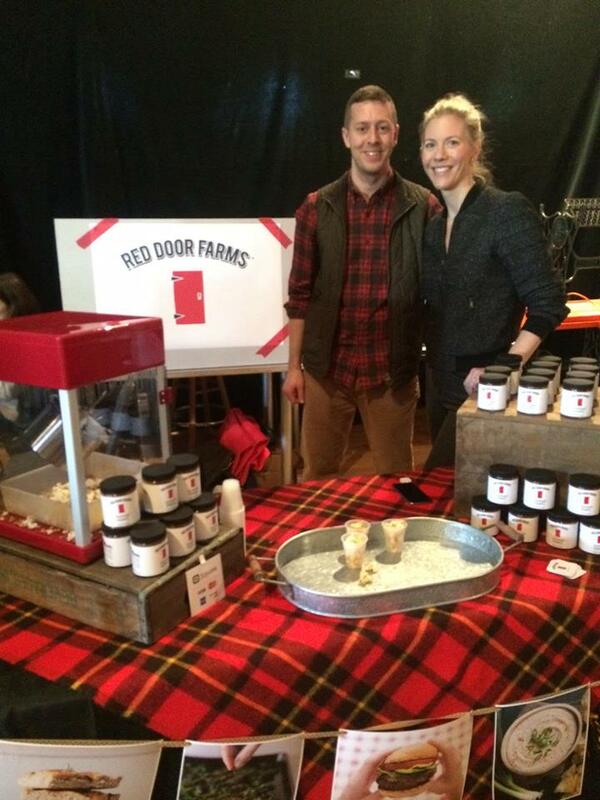 Our marketing partners confirm that engaging the public is key to organizing a successful winter Farmers’ Market. Their tips for success: constantly build your email list, distribute print materials and also maintain an online presence, pay a dedicated staff to plan, promote and manage markets, and create a positive market experience for customers by offering live music, kids’ activities, cooking demos, book signings, and a ‘vegetable of the week’ promotion. 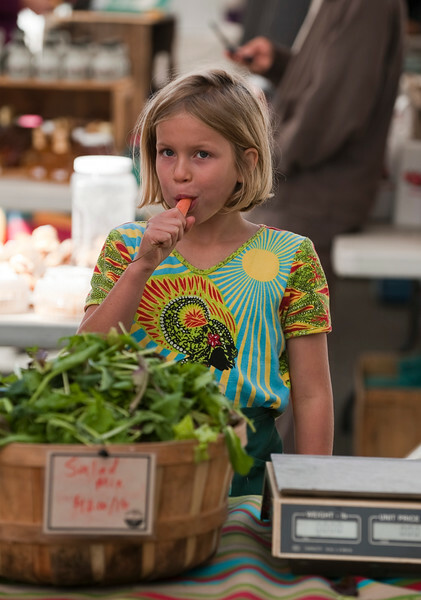 Seacoast Eat Local also noted that farmers who sell in farmers markets are also making sales to restaurants, farm stores, wholesale, CSA and institutions. 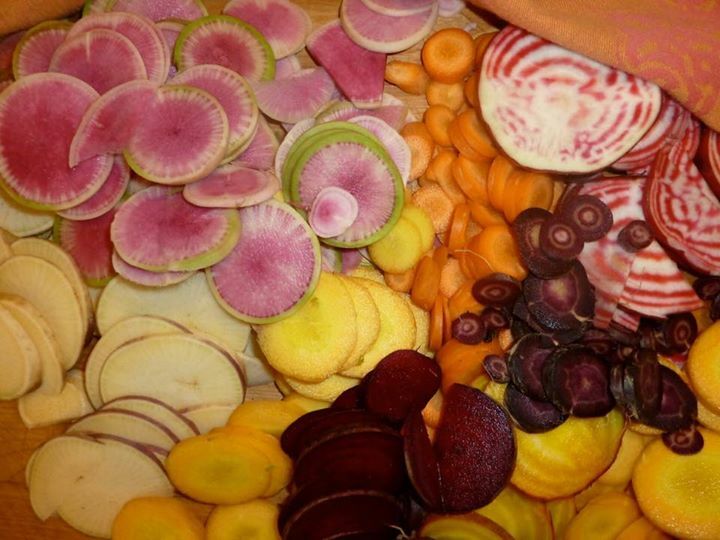 For New Englanders who don’t want to give up their local eating habits when the snow flies, you don’t need to look very far to find fresh local carrots, spinach, or cabbage at your nearest farm stand, CSA, or farmers market, or grocery store. For more resources on winter growing and sales visit the UMass Extension Vegetable Program website, and to read the full project report, go to the SARE reports database for project LNE10-297.